Kumbh Mela is a mass pilgrimage of faith in which Hindus gather to bathe in a sacred or holy river. This time around India government made it as one of the largest event in the country not only for the religious devotees but also for the large number of foreign tourists. 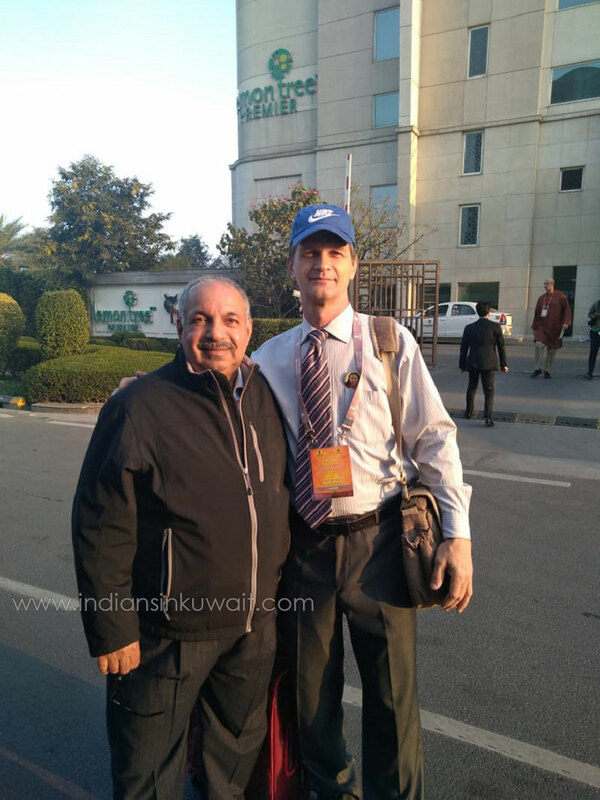 For the first time, a Kuwaiti national was invited to visit this year's Kumbh Mela by the Government of India. 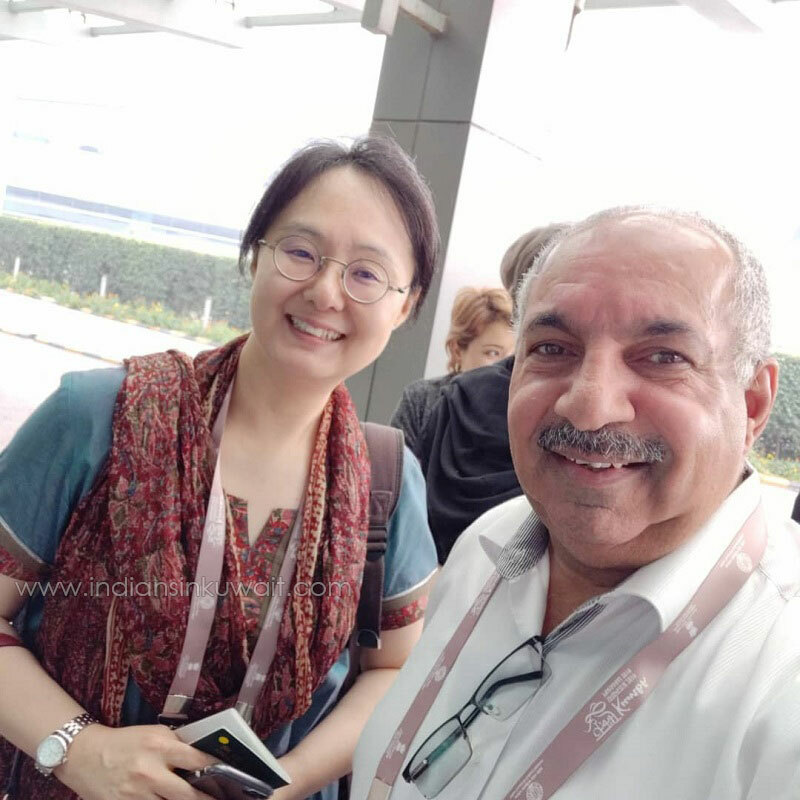 Mr Ali AlSayegh, Chairman of Lemonade International, which markets the popular community portal IndiansinKuwait.com shares his exclusive experiences at Kumbh Mela for the readers of IIK. "The Kumbh Mela was a wonderful and absolutely, once in a lifetime experience, which I will treasure forever!" Mr Ali Alsayegh said. 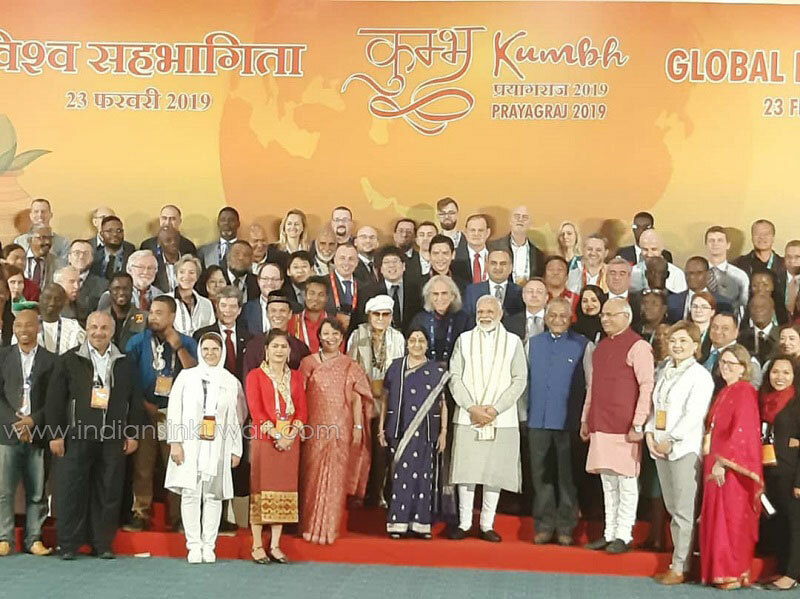 He was invited by the Indian government to visit India and participate in Vishwa Sahabhagita Programme in Kumbh 2019 at Prayagraj during February 21-23, 2019. 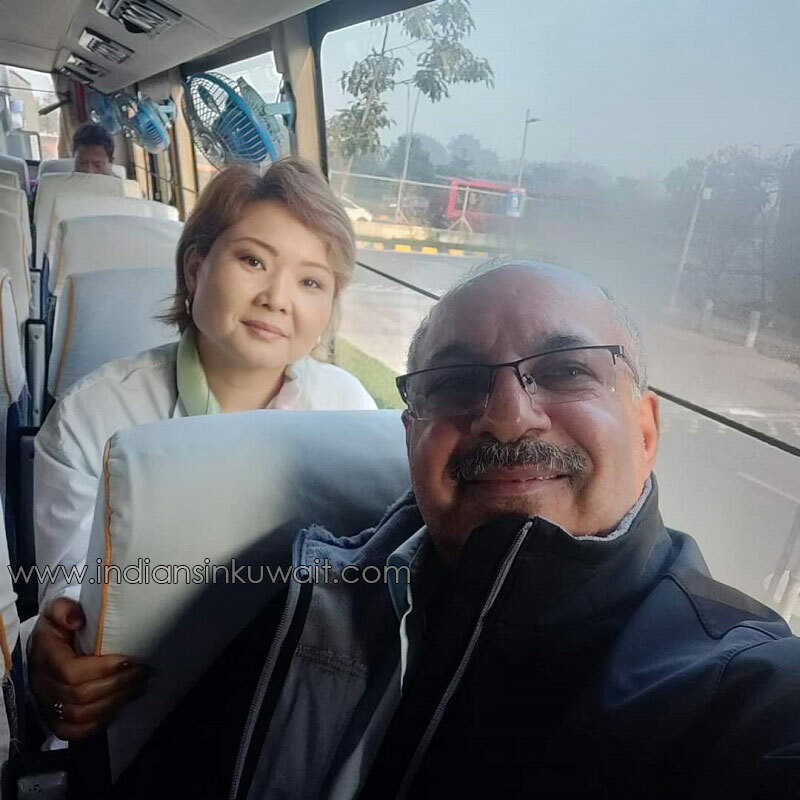 It was a familiarization trip sponsored by Government of India to give better idea about India's one of the largest event "Kumbh Mela". 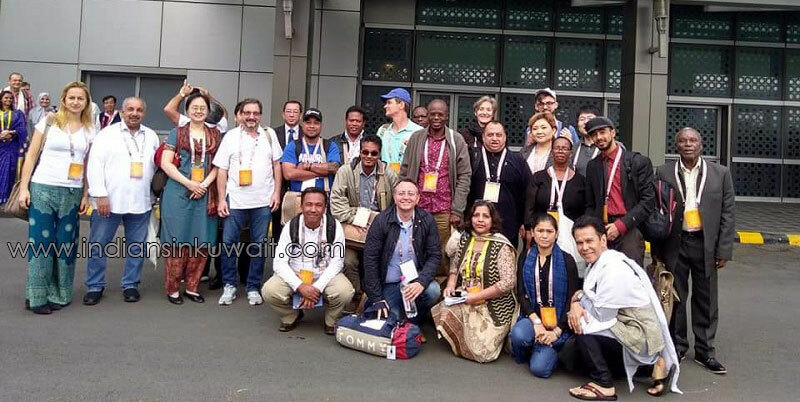 Selected delegates from several countries attended the event where the India government arranged all visa and other facilities for the guests. "I was very much impressed by the cleanliness of the place and the entire event which was very well organized ", Mr Ali Alsayegh said. The 3 days stay in India consisted of official programs and sightseeing. We received a very warm welcome in India starting from the New Delhi airport. We were divided into groups which were named after the Indian Rivers during our stay. First day we got to know of Kumbh Mela through a Talk on Kumbh and Screening of Documentary "Kumbh: Eternal Journey of Civilization". It was a well-organized event and we came to know the background of this prestigious event, Mr Ali said. On the second day the group travelled to Prayagraj where they visited Akshayavat - the Ancient Banyan Tree, Sangam Nose etc. “It was all very beautiful for the eyes,” he said. "On that day evening we were taken for a Cultural Program, which we really enjoyed", Mr Ali said. We enjoyed the mesmerizing Indian culture at its best there, he added. It was a kind of experience which gives a chance to know India and its rich treasure of a unique culture and its mix of multi ethnicity, he said. The entire event at Uttar Pradesh was very well managed by the India government. We visited several places which were absolutely clean and all arrangements for people was good and secure. Next day was a very proud moment as I could meet Indian Prime Minister Narendra Modi and External Affairs Minister Madam Sushma Swaraj. "It was a great honor to meet Prime Minister Narendra Modi and get a chance to have a photo session with him" Mr Ali said. They were all very cordial and friendly with us. There were people from many other countries and it was also wonderful experience to get to know about other delegates, so many wonderful people from all around the world. 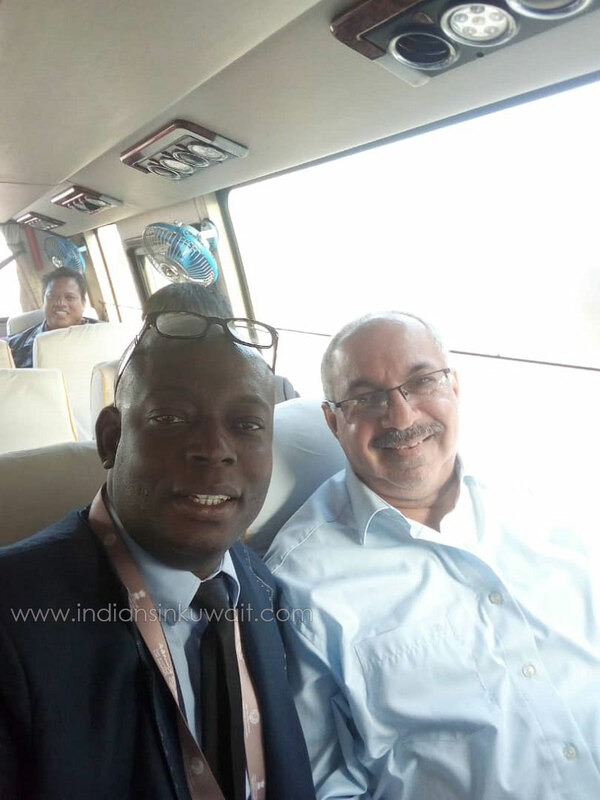 “Truly it was a great experience to be at Kumbh Mela and to witness this great spiritual holiday in India”, concluded Mr Ali Alsayegh. Mr Ali AlSayegh had previously visited several places in India including New Delhi, Jaipur and Coorg in Karnataka. Kumbh Mela was entirely organised by the Government of Uttar Pradesh and not Government of India. This kind of an organised gathering in a place like India requires meticulous planning and organisation. Hats off to the Indian PM and UP CM, without whom this would never have been possible. India is changing for sure.